Who are Cheap Car Leasing? Cheap Car Leasing is a leasing company that supplies great cars on leasing and finance for cheap, affordable prices. We are based at Trident Park in Blackburn with our state of the art showroom. However, we do deliver UK-wide, ensuring you can have your car at your front door in a matter of days. Do I have to pick up my car? No, you don’t have to. If you are in the Blackburn or surrounding areas, it may be easier to pick it up. Otherwise, we do deliver nationwide. We deliver nationwide. We deliver your car to your door within a few days of everything being signed off. You don’t need to travel up to collect your car, we will bring it to you. Yes, we are regulated and accredited by the Financial Conduct Authority (FCA). Can I get cars on bad credit? Yes, we work with lenders who do offer car leasing deals to those with poor or bad credit. 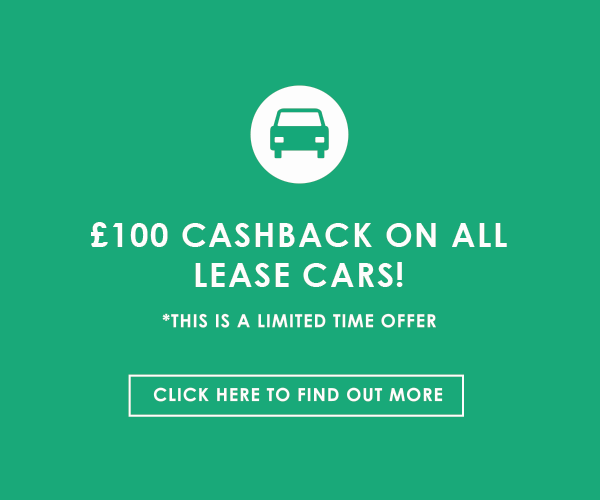 We believe everyone should have the chance to be considered for car leasing regardless of their credit history. If we find a lender who will accept you on a bad credit car leasing agreement, you could have a car within days. Through a leasing or finance option, you pay for a car in the following way. First, you have the choice of placing a deposit to cover the cost of part of the agreement right at the beginning. This is not mandatory, but it is advantageous. Following the deposit, you pay a series of monthly payments for the duration of the agreement. Depending upon your leasing or finance option of choice, there may be a final balloon payment to pay at the end. Can I hand the car back? If you choose either a Contract Hire or a Personal Contract Purchase agreement to lease your car, you have the options to hand the car back. With a Contract Hire agreement, the car must be handed back regardless. However, with a PCP agreement, you have the choice between handing the car back or paying a final payment and taking ownership of the car. Can I buy the car at the end? If you choose a Hire Purchase or a Personal Contract Purchase agreement, you can take ownership of the car at the end of the period. With a Hire Purchase agreement, you buy the car through the deposit ad monthly payments with no final payment required. However, with a PCP deal, you have the option of handing the car back or paying a final balloon payment to buy the car. The balloon payment is the Guaranteed Minimum Future Value that is calculated at the beginning of the agreement. If you pay this final payment, you will own the car. Do I have to have a deposit? Whilst it is advantageous to pay a deposit, it is not mandatory. In fact, for those who don’t wish to pay a deposit, whether, through choice or circumstance, Cheap Car Leasing offers no deposit car leasing agreements. This allows you to lease a car without the requirement of a deposit. Cars may be in the manufacturer’s warranty so if any mechanical issues occur, you can contact the manufacturer and they should be able to deal with it. Otherwise, our cars do not come with added maintenance. However, if you live in Blackburn or the surrounding area, you can purchase maintenance packages for use at our state of the art Preparation Centre and Body Shop. How many miles can I do? The starting point for your annual mileage allowance is 5000 miles with no upper limit. When you set your annual mileage allowance, you will be made aware of any penalties for going over that limit. You are responsible for setting your annual mileage allowance, therefore, the upper limit is entirely up to you. What Warranty do cars come with? If your car is still within manufacturer’s warranty, you can contact them if necessary. We can work on any repairs that are required at our state of the art Preparation Centre and Body Shop if you are in Blackburn and the surrounding area. However, if you are not, the best choice is to contact your car manufacturer directly. We do offer three months warranty for any car already out of the manufacturer’s warranty when sold. How long until my car arrives? Your car will be delivered to you within 10 days of everything being signed off. Once, you have signed for the car, the car passes through Our Logistics Department who will organise the preparation and delivery of the car. You will be kept informed at each stage of the entire process. What condition will the car be in when delivered? The car will be delivered to you in top condition. This is done by each car going through or Preparation Centre and Body Shop to ensure it is up to the best standard before being delivered to you. Do cars come with tax and insurance? We do not offer insurance with our cars. With regards to vehicle tax, this depends on the agreement you choose. With a Contract Hire agreement, we will tax your vehicle as we will legally be the official owners of the car. However, with Hire Purchase agreements, you will be required to tax your vehicle. Yes, each car we sell or lease is up to the legal standard before delivery, including having passed a MOT.